There is nothing better than baking and eating cookies on a cold, snowy afternoon. 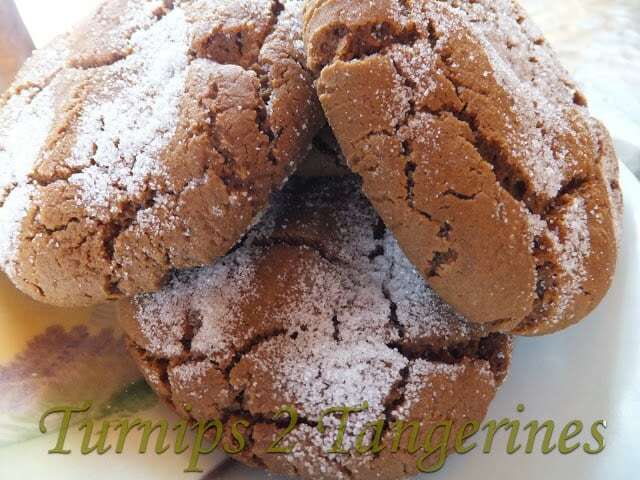 Make it a snow day today at your house and whip up a batch of Old Fashioned Molasses Cookies. These classic cookies will fill your home with a wonderful, spicy aroma. I love the classic cookies, like these old fashioned molasses cookies, gingersnap cookies, snickerdoodles and of course peanut butter cookies. But let’s face it, I love all cookies. 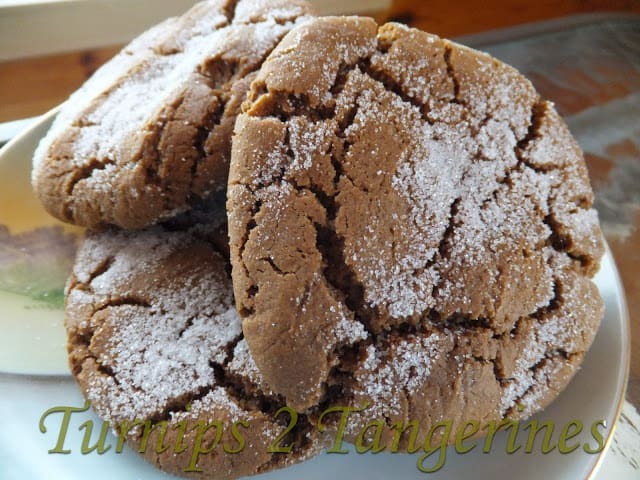 Old Fashioned molasses cookies have been around for-ever. They have been popular for many reasons. Years ago they were made due in part because molasses was readily available everywhere and sugar was expensive. 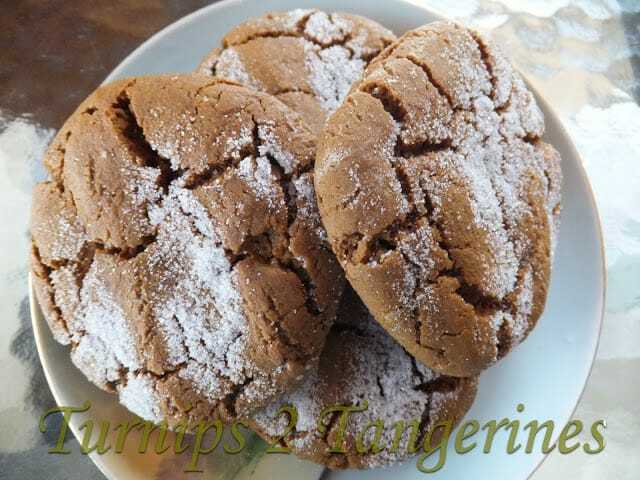 Molasses adds the unique flavor obviously in these cookies, along with a melody of warm spices. An old fashioned classic cookie that is just as popular today as they were 100 years ago. In a large bowl, cream butter and sugar until light and fluffy. Beat in molasses and egg. Combine dry ingredients, gradually add to creamed mixture. Cover and refrigerate for 1 hour or until firm. Roll into 1-inch balls. Place 2 inches apart on greased baking sheets. Press flat with a glass dipped in sugar. Bake at 375º for 8 to 10 minutes or until lightly browned. Remove to wire racks to cool. Sprinkle with more sugar if desired. Delicious – these look so good and a great alternative to the usual suspects! I'm your newest follower – would love for you to come check out my blog as well! These sound lovely. I promised my husband cookies this weekend,this might be just the ticket.